Hot on the heels of the encouraging November report by HTC, which saw the revenue jump more than 20% month-on-month, now comes the Morgan Stanley analysis that Q4 as a whole is looking decent for the embattled Taiwanese phone maker, too. 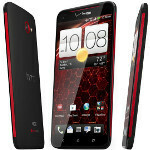 The investment bank analysts estimate that HTC is on track to hit its sales target numbers of 8 million handsets sold, buoyed by the introduction of the Droid DNA/Butterfly 5" Full HD handset, which is found to be as popular as you'd expect with the first brand-name phone carrying a 440ppi density screen. The brand's HTC 8X Windows Phone is also selling in fine numbers, the shop concludes, as well as its mid-range offerings for China: "It’s early to conclude that HTC can return to its peak, but good feedback on new devices, U.S. smartphone demand re-acceleration from the fourth quarter, and an expanding premium Chinese market bode well for its share trend and operating leverage." The revenue target for HTC in Q4 is set at $2.06 billion, and if the company is slowly coming out of its repressed state in 2012, the next year should be also good for its share price. great news for htc fans. the DROID DNA is relevant because it's the first phone to ship with full HD screen. but coming 2013 other OEM will release their own 1080p flavored phone. let's see what htc will do to keep itself relevant. m7 will take care of that htc one x was always better than s3 its just that the updates kept it back. ONe x plus kills everything imo. I will wait it out for M7. How about some ads HTC. We see ads from Sammy and Apple. Show us your achievements. HTC's been relying on Verizon and MS to showcase their hardware (DNA and 8X respectively). While I'm sure it's probably more cost efficient, I don't think it helps HTC build a brand as well as their own ads would. Just keep phones like the One S and Droid DNA coming and we'll Hope HTC survives. Yet it isn't a big possibility for htc to reclaim it's position as Sony's plans are very big for 2013 including Odin and Yuga. Now that Sony doubled HTC they're not going to leave their place to anyone ! more like ambivalent i-fairy but i find it amusing reading his/her comments lol. Like it or not, she speaks the truth. Good job on HTC. Keep up the good work. Bring out more devices like the butterfly, listen to the majority of people's wants and HTC will be top of the game again. Great job htc, hope they do excellent in Q4. I really enjoy there products. I myself love my htc droid dna. Just keep up with the cool designs and start putting bigger batteries and sd card slot in your future phones and the sky is the limit for htc!!!!!!!! In the US, I dont understand why HTC made the One X, it's flagship, without an expandable memory slot and bigger battery. They gave Sprint the awesome EVO 4G LTE with the SD card slot, bigger battery and an aluminum body and a kickstand, so they clearly could have done it. Sprint obviously knew what the customer wanted when they asked HTC to build the next EVO but HTC failed to realize this? I don't get it, maybe they were all about giving carriers exclusive devices and Sprint ended up with the best model followed by AT&T with the One X and T-Mobile with the One S, although now both have the One X+ which is a beast. The One X+ is an AT&T exclusive in the U.S.